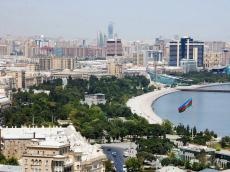 Since the beginning of the year, the population of Baku stood at 2,269,700 people, up 7,100 people from early 2018, Baku City Statistics Department told Report. About 49.8 percent of the population is men, and 50.2 per cent are women. The population density is 1,060 people per square kilometer. Some 14,570 newborns were recorded in the January-June ,2018. This figure made 13.0 per 1000 people. Of this, 156 are twins, two – triplets. Share of girls among newborns makes up 47.5 percent. 110 boys fall per 100 girls. Notably, since the beginning of this year country's population increased by 38,049 and made 9,936,134 people as of July 1, 2018. About 52.9 percent of the population accounts for city residents, 47.1 percent for rural residents, also, 49.9 percent for men, 50.1 percent for women.